Penang still manages to retain its charm and traditional values, whilst moving the centre of the city into modernity. The state embraces its widely differing multicultural population, and the mixing of eastern and western culture shines through creating a tremendous and unique vibe. 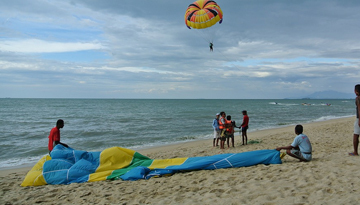 There are countless activities for tourists to take part in, whether you want something relaxing, family related, or something more daring if you're the adventurous type. Go for a spot of snorkelling from the Pulau Payer Marine Park, take a short boat trip out to monkey beach, to relax on the sandy beaches and meet the island's furry inhabitants, or rent a jet-ski for the afternoon from one of the countless rental services. Surprisingly, Penang has two modern shopping malls on the mainland, meaning that you can get your spending fix when you stop to take a breath from your extreme water-sporting activities. Just over 7 per cent of the island is covered in woodland, and there are beautiful botanic gardens and parks to explore - the Tropical Spice Garden and the Tropical Fruit Farm are both interesting places to visit, and will give you a unique insight in to how commerce on the island operates. 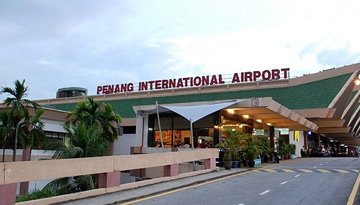 China Southern Airlines offers a flights to Penang from London at just £384.08 return! Flamingo by the Beach is such charming hotel to stay next to the seashores. 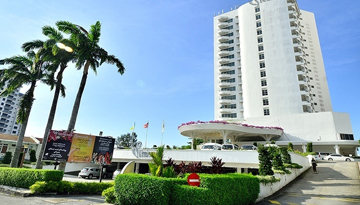 Fly from London - Penang & Stay for 6 nights with 4 star accommodation. Bed & Breakfast.